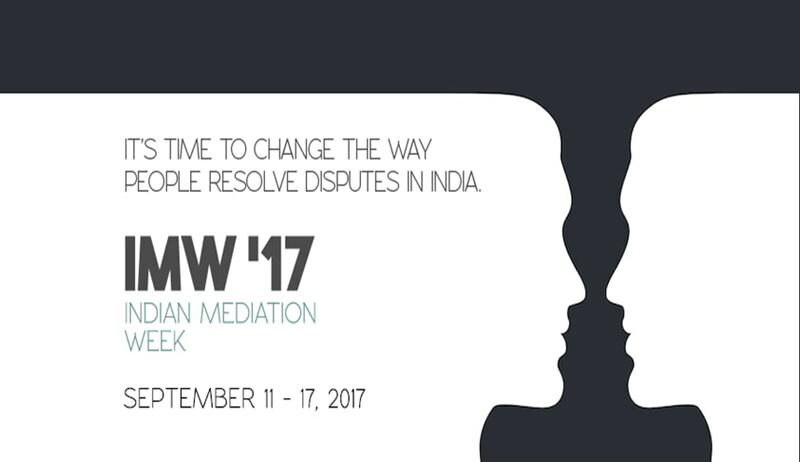 The first of its kind in India, the Indian Mediation Week is a pan-India mediation awareness initiative, organized by the National University of Juridical Sciences(NUJS), Kolkata and ODRways with the support of the Ministry of Law and Justice, Government of India, and Supreme Court Mediation and Conciliation Project Committee (MCPC). The main objective of this initiative was to take the message of mediation to the common man of India. In furtherance of taking this nationwide campaign on mediation forward, Indian Mediation Week has collaborated with Indian Institute of Corporate Affairs (IICA) for nominating an independent jury to recognize the contributions of top ten individuals in the field of mediation in India. IICA is constantly trying to inculcate the practice of mediation as a dispute resolution mechanism in the sphere of commercial and civil disputes. To register for the same, mediation enthusiasts can download the form from www.mediationiica.in and forward the nomination form to mediation.iica@gmail.com which will be sent across to an esteemed jury for impartial screening and selection. Note: The top ten individuals will be felicitated by NUJS, as part of the Indian Mediation Week project scheduled from 11th to 17th September, 2017.